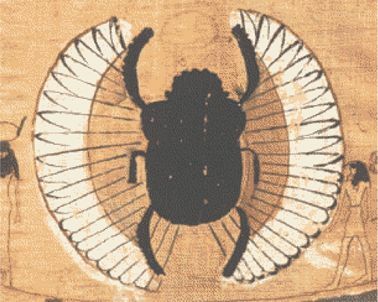 Scarab Beetle ~ One of the most famous of all Egyptian amulets, the sacred scarab is an emblem of the Great Creator of the Universe and is a symbol of perpetual renewal of life. Wear scarab beetle jewelry for good luck and protection against evil. 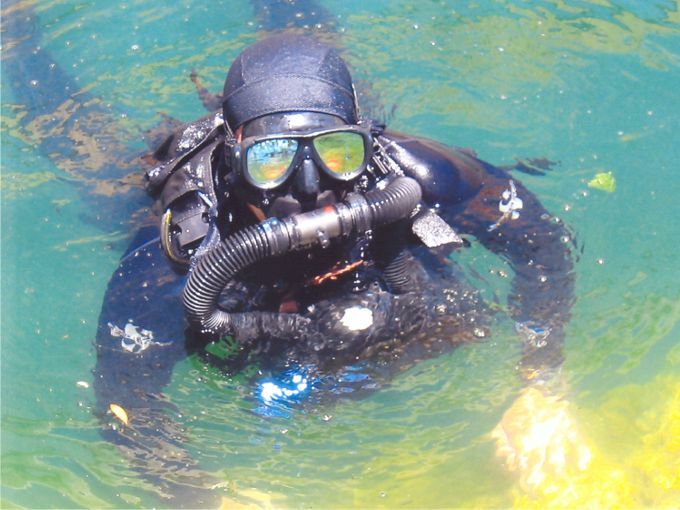 Steve Z Paige renewed the life of an old German RG/UFM (Rettungs Gerät Unterwasser Fahrt mit Panzern) by a marriage to an old French rebreather the Fenzy NSN 4240, made in France and used by many countries for escaping tanks. What I did with the Fenzy was block the CFM from the tank with a solid rubber plug. 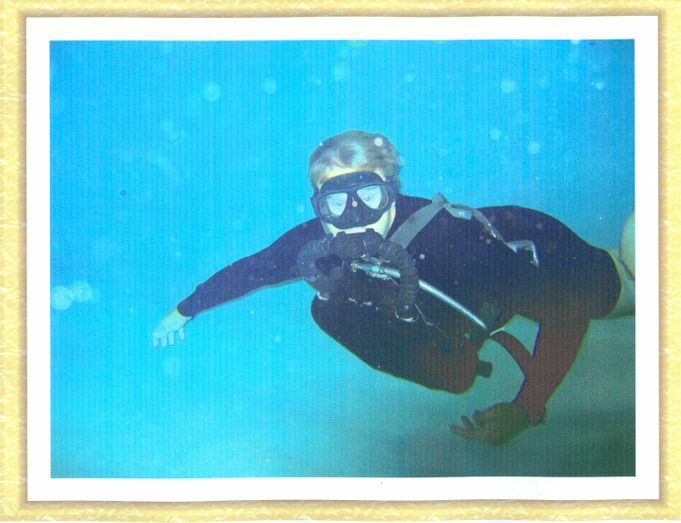 Then I replaced the over pressure valve with a BCD valve. I added a separate Oxygen intake connection from a car inner tube valve. I mounted the RGU/FM on the the opposite side of the Fenzy bottle by unscrewing the cap and putting some fittings to mount the RGU/FM. I ran the new CFM into the tire inner tube valve. 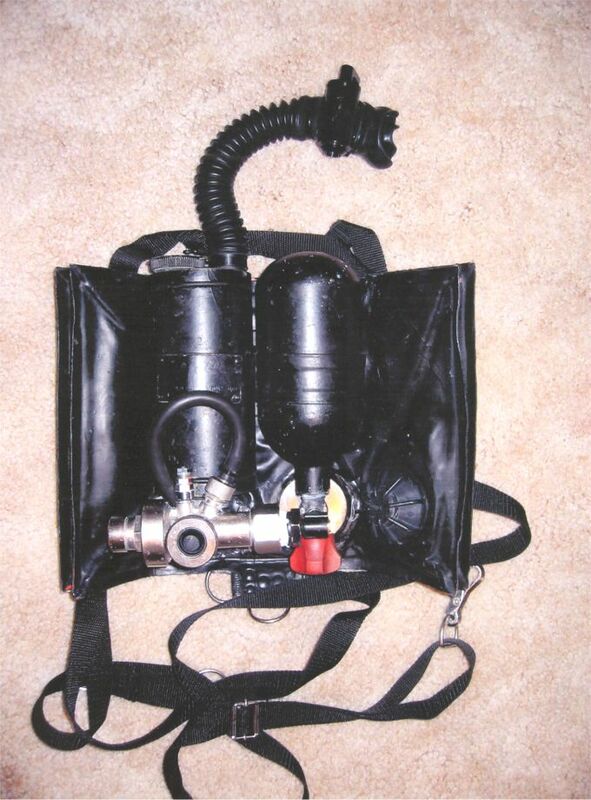 It is so nice to carry a very good rebreather in your car glove box or lunch box that can be used any where. 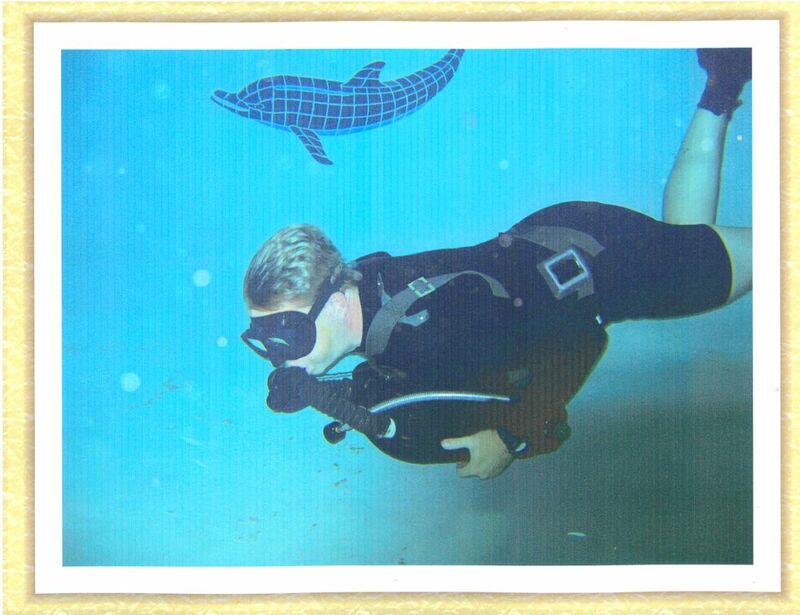 Here you find another rebreather of Steve. 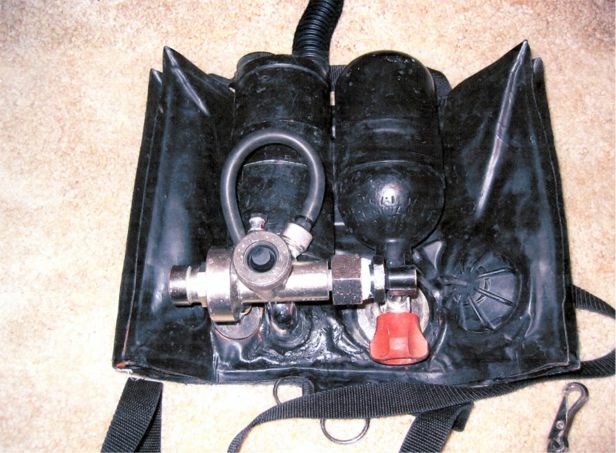 A converted KIP 8 rebreather for UW use. 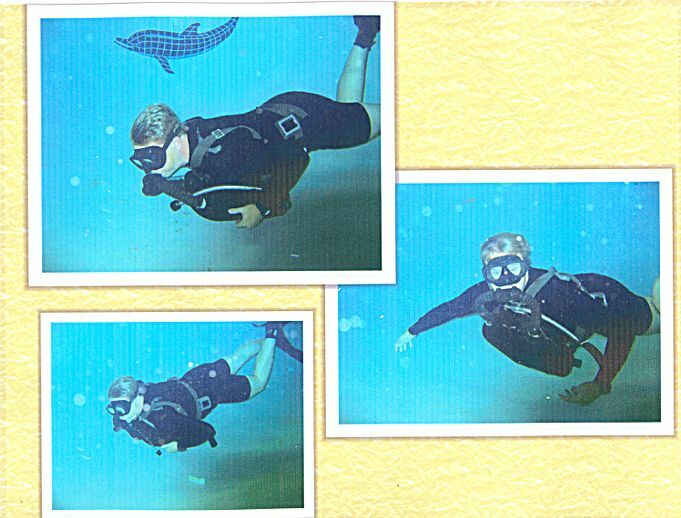 Finally a picture of Steve diving his LAR. Steve: thank you for contributing to my web. (again) !